Better Budget » Better Budget Day this Saturday! Better Budget Day this Saturday! Join us this Saturday for Better Budget Day 2015. 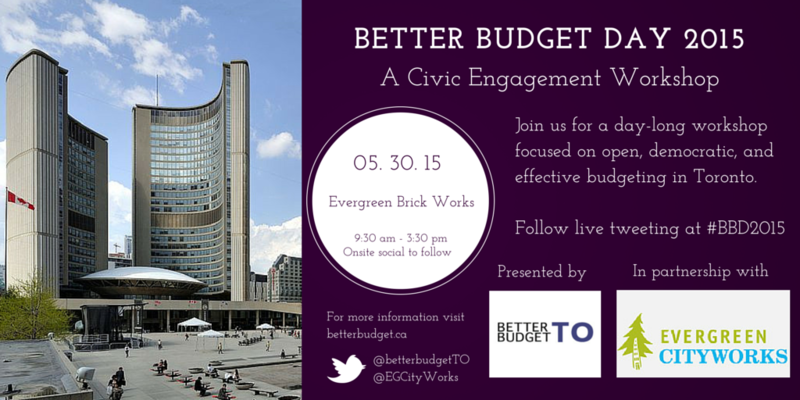 Better Budget Day 2015 will feature speakers, interactive workshops, opportunities to connect with other city builders, and a chance to contribute to improving the way your city manages billions of dollars. We will release more details on workshops and speakers in the coming days! Stay tuned. We still have a few spaces left, register here.